HomeCinemaMasalaManmarziyaan stars Vicky Kaushal and Taapsee Pannu are Elated beyond belief upon receiving letters from Amitabh Bachchan! 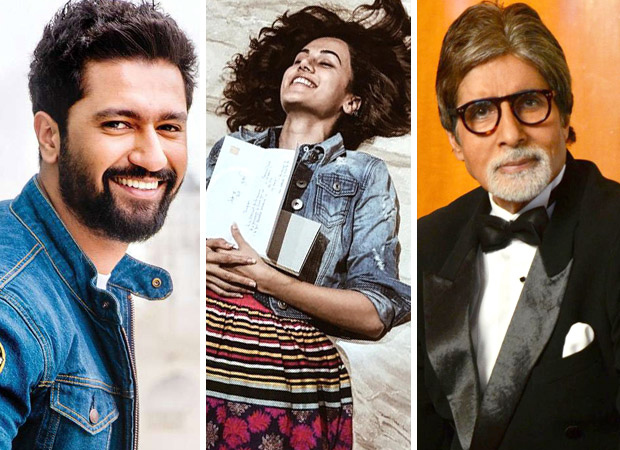 Manmarziyaan stars Vicky Kaushal and Taapsee Pannu are Elated beyond belief upon receiving letters from Amitabh Bachchan! Finally ! THIS LETTER ! A milestone achieved ! Vicky will be seen next in Karan Johar’s magnum opus Takht whereas Taapsee was seen last in Soorma and Mulk. Dennis Haysbert: Are You In Good Hands?